Suzanne was born, raised and educated in Montreal, Quebec. 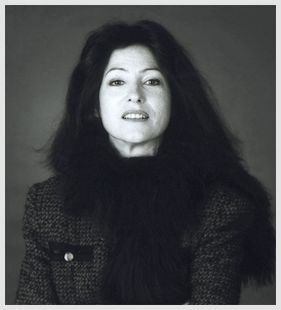 She received her Diploma of Collegial Studies DEC in French literature in 1972 from the St. Laurent College of General and Professional Education (CEGEP). She was subsequently accepted as a self-taught student at the Montreal School of Fine Arts where she honed her skills in painting and etching for 3 years. An additional year of advanced training in animation movies followed at the prestigious National Film Board of Canada with the film Director Pierre Veilleux . She got there in contact with talented background artists and discovered through them the world of Illustration. Duranceau has refined her skills and established an international reputation as a freelance illustrator over the 30 years, initially coming to public attention through her work illustrating children’s books. Her works have subsequently found their way into a variety of public venues including periodicals, most notably Smithsonian Magazine, books, posters and advertising. Suzanne has shown her works throughout Canada, the U.S., South America , Europe and Asia. Her images depict serene and ethereal worlds, where animals and humans live together in harmony. There is often a note of surrealism in her otherwise realistic portrayals that intimates at an important marriage among the elements of technical ability, appropriate detail, conceptual strength and a deep love for nature and environment. Suzanne currently works out of her studio in Montreal where she attends to her American and European clients. 2007 Honored for her ten years of teaching in the Graphic Design Department at Ahuntsic CEGEP. Teaching : Plastic Language (Communication with the image) , Sketch & Drawing in Perspective and Live Model. 2002 Honored by CAPIC (Canadian Association of Photographers and Illustrators in Communication) for help to the development of the profession. 1992: National President - Canadian Association of Photographers and Illustrators in Communication. Current member of CAPIC (Canadian Association of Photographers and Illustrators in Communication. o Chief Mik’maq Membertou Stamp.